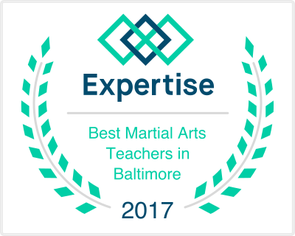 No other school in the area can offer students a more complete and dynamic system of self-defense than Kanjizai. Each martial art studied at our gym offers students unique, practical options for dealing with life's toughest situations. When you or your family's safety is on the line, every decision you make can mean life or death. To navigate these murky waters requires specialized and diverse training. Kanjizai guides students through this training process by offering the best in modern and traditional self-defense. Kanjizai is a Certified Gracie Training Center as well as a traditional school of Japanese Jujutsu. Created by the Samurai of feudal Japan, the traditional schools of Jiu-Jitsu (spelled "Jujutsu" in Japanese) evolved on the many battlefields of a warrior culture. The sole occupation of these legendary warriors was the cultivation and application of combative skill. Because of their practical usefulness in real-world combative scenarios, these techniques are still practiced today by police, military, and private security professionals around the world. Traditional Jiu-Jitsu uses joint locks, throws, strikes, chokes, and grappling techniques to subdue and control an attacker, achieving maximal results while expending minimal energy. Judo, Aikido, and Gracie Jiu-Jitsu all stem from the roots of Japanese Jiu-Jitsu. Other modern arts such as Krav Maga, Sanbo, and many military hand-to-hand systems also borrow extensively from Jiu-Jitsu. Gracie Jiu-Jitsu is arguably the most widely practiced martial art in the world today. Despite the popularity of competitive Jiu-Jitsu and MMA, the art was created for the purpose of self-defense. Grandmaster Helio Gracie was only 140 pounds when he created the modern art of Jiu-Jitsu. After training in traditional Ju-Jutsu and Judo with his stronger, more athletic brother, Carlos, he felt the techniques needed to be adapted to suit his weaker stature. This new evolution of Ju-Jutsu soon came to be known as Brazilian Jiu-Jitsu. Its focus was exhausting opponents while conserving the practitioner's energy, allowing him to easily escape an attack, or subdue an assailant with a choke or joint lock. Kanjizai's Combat Fitness classes are designed to give participants the physical conditioning necessary to push their fitness levels to new heights. Jiu-Jitsu students can take their martial arts ​performance to the next level, while Combat Fitness members can focus on losing weight, gaining lean muscle, and improving their cardio. Each 30 minute workout features a HIIT Circuit (High Intensity Interval Training) focused on developing functional strength, speed, endurance and flexibility. Each exercise in a Combat Fitness workout is scalable, so beginners and veterans can both see gains at their own unique fitness levels. Combat Fitness classes are open to all Adult martial arts students, parents, and Combat Fitness members. Includes unlimited classes per week (Traditional Jiu-Jitsu, Gracie Combatives, & Combat Fitness). week. Martial Arts classes are not included. SIGNUP NOW FOR 10 DAYS OF UNLIMITED FREE CLASSES!